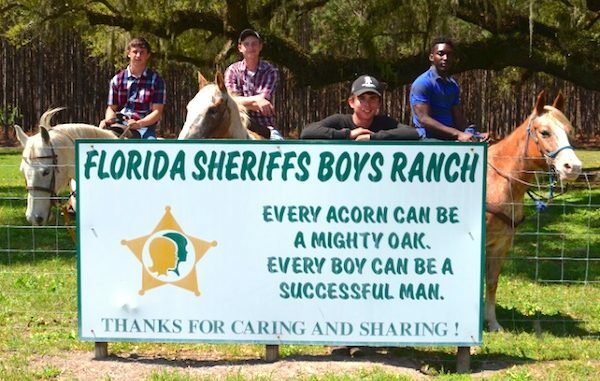 IRCSheriff hosts Florida Sheriff's Youth Ranches in Vero Beach. VERO BEACH – The Indian River County Sheriff’s Office is set to host the 23rd Annual Florida Sheriffs Youth Ranches BBQ to be held on Wednesday, March 1st from 2:00 P.M. to 7:00 P.M. The event will take place at the Indian River County Sheriff’s Office campus located at 4055 41st Avenue, Vero Beach, Florida, 32960. “Last year’s event raised more than $45,000 for the Florida Sheriff’s Youth Ranches. With your help, we can give even more this year. Join us on Wednesday, March 1st, for one of our favorite days of the year,” Indian River County Sheriff Deryl Loar stated. Pork or chicken dinners will be available to adults and children age five and older for just $5.00. Children under age five, parking and shuttle service are all free. Tickets will be available at the door or by calling 772-978-6404 or by visiting the Florida Sheriffs Youth Ranch website.